Does The Social Network Make Nerds Look Cool? 1. A foolish, inept, or unattractive person. 2. A person who is single-minded or accomplished in scientific or technical pursuits but is felt to be socially inept. Many of us are familiar with those definitions and society on the whole agrees with it. However, in The Social Network Mark Zuckerberg and Eduardo Saverin, two students who were considered nerds and had no social life or friends, eventually gained popularity, money, and women because of their success with Facebook. Also fellow Silicon Valley nerd Sean Parker is portrayed as a womanizer, this after his rise to popularity due to Napster. 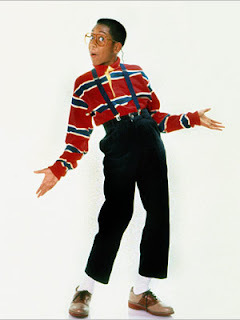 So does the movie make nerds seem more appealing or is it that when a person no matter who he is gains money and success, popularity and women automatically follow? While money can change people's perception of you, the increased presence of technology in our lives might be changing our views on nerds. Technology has become so predominant in our day to day lives that we can't ignore those who invented or created these technologies that we are using. If Facebook had not become a success or as popular as it is now, we wouldn't care about who Mark Zuckerberg is and a movie about him and his company would not have been made. Silicon Valley has become such a driving force socially and financially that we can't ignore it, companies like Facebook, Google, Apple, and many others are everywhere and involved in our lives everyday. If you look at the creators and inventors behind the popular products and technologies that we use, they can be considered as nerds, but they are what I like to think as Nerds 2.0, not the Bill Gates type but more cool and casual but yet still very smart and focused. If you put Bill Gates and Mark Zuckerberg side by side you see a big difference, but yet mentally they are at an equal level. Even Steve Jobs has a cool appeal although being a nerd, while he is from the same generation as Bill Gates, he has adapted to today's culture and it reflects in the way his company looks, feels, and does business. So The Social Network only portrayed something that is already happening in the real world, that Nerds are becoming more cool and socially acceptable. It seems the saying "Nerds will rule the world!!" has some truth to it.. In this scene from The Social Network Sean Parker and Mark Zuckerberg meet with PayPal co-founder Peter Theil who then invests $500000 in Facebook. Here is the famous scene from The Social Network, where Eduardo Saverin gives Mark Zuckerberg the Algorithm he needs to code Facemash. Eduardo then writes the code on the window of the Havard dorm room. After much buzz and positive critic reviews, The Social Network has scored big at the Golden Globes awards ceremony. The Facebook Movie landed Best Picture (in the drama category), Screenplay (Aaron Sorkin), Score (Trent Reznor), and Director (David Fincher). Many will agree that this is well deserved as the movie was able to capture and dramatize the story of the silicon valley tech giant very well. Many movie goers loved the film and thought it was one of the best movies of 2010. As in the past, how a movie does at the Golden Globes is foretelling of it's chances at the Oscars, we should know by January 25 if the movie will get any Academy Award nominations. This is the first "tech movie" which has had such success in it's genre. No other film about a tech company has had this much buzz, remember Prates of Silicon Valley? or maybe even The King of Kong? This is definitely a sign of the times, how much technology has become a part of our lives, that a social networking site could produce such an interesting story for a movie that we could actually watch and enjoy. The Social Network to date has earned $200 Million at the box office and had production cost of $40 Million. Haven't seen The Social Network as yet? Or want to see the Facebook Movie again? Well here is an opportunity for you to watch The Social Network online. 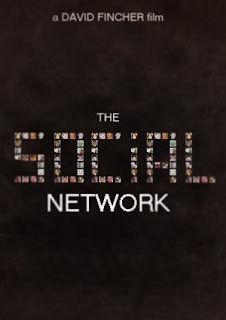 Here is the official trailer for the upcoming Facebook movie titled "The Social Network". This film is scheduled for release on October 1, 2010 and is directed by David Fincher. 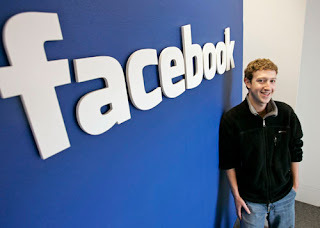 When he created Facebook, 26 year old Mark Zuckerberg made his fair share of enemies. He was accused of stealing the idea for the website, an allegation that will now play out on the big screen in the upcoming movie The Social Network. Zuckerberg's former classmates, identical twins Tyler and Cameron Winklevoss, sued him in 2004 saying they hired Mark for help with their social network site named UConnect, then Mark stole their idea and business plan to launch his own website. The Winklevoss twins who are Olympic rowers and now getting MBAs from a prestigious oxford university in England settled the case in 2008 for a reported $65 Million, part of it in Facebook stock. But now the Winklevoss' want the settlement vacated saying they were misled about the companies value. It seems that the Facebook drama will not only be playing on the big screen as the twins seek to gain more money from Facebook. Here is the video of Winklevoss' being interviewed on the Today Show. The new movie about Facebook has it's founder Mark Zuckerberg and executives up in arms. Zuckerberg has been quoted saying "The movie is fiction" and the NY Times reported that two Facebook executives, Elliot Schrage, VP of communications, and Sheryl Sandberg, the COO, saw The Social Network and both apparently hated the movie. Hollywood usually drums up stories to give a film more flare and drama and that seems to be the case with the social network. The movie trailer gives you the impression that Facebook was started through lies and deception and so Mark Zuckerberg could be become popular at college. While there are some truths and facts behind the movie, most of it is probably over exaggerated. Regardless of Facebook's reception of the movie, many of its members will go to see the movie about site that has become a huge part of their lives. The film should do well in theaters as it already has 500 million people associated with it already. There is also much Oscar buzz surrounding the film. "The Social Network" tells the story of Facebook founder Mark Zuckerberg and his friends who built the Silicon Valley company while they were still in college. Mark Zuckerberg is the youngest billionaire in history... but for this entrepreneur, success leads to both personal and legal complications. We get a look at how Facebook was conceived, planned, and all the drama and controversy that surrounded the site. From the trailer it seems some of the details have been extremely dramatized, but that's Hollywood for you. Facebook was launched in February 2004, the website's membership was initially limited by the founders to Harvard students, but was expanded to other colleges in the Boston area, the Ivy League, and Stanford University. Today it is used by millions around the world and is the largest and most popular social networking site. If you've seen the trailer for "The Social Network" and wondering what's the name of song in the video, it is "Creep" by Radiohead. The song is actually being sung by a choir, Scala and Kolacny Brothers, as a cover of Radiohead's version. This is the video of the original Creep by Radiohead. Actor Jesse Eisenberg who will be playing Mark Zuckerberg in the upcoming film "The Social Network". Jesse has a striking resemblance to Mark and also has the nerdy look about him which Zuckerberg has. This was definitely an excellent casting choice. You may recognize Eisenberg from previous films such as Zombieland, Cursed, and The Village. He has never had any major roles before, this will be his first leading role. I think this film will definitely put Eisenberg on the map in Hollywood. From the movie trailer it seems Jesse portrays Mark Zuckerberg very well. 2013 FBmove.com. Powered by Blogger.